8 years of teaching experience in Mathematics for various IAS / IPS / GATE / IES institutes. Worked as a VLSI Design Engineer at Texas Instruments. I am one of the founders of IndianCivils.com. 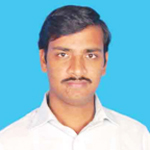 I am passionate about teaching Mathematics and also developing software in the field of education. I look at Indiancivils.com as a great technological breakthrough in bringing the best quality coaching to the doorsteps of the civil services aspiratnts, elimintating the constraints of location and stringent timing. I attempted Civil Services Examination once. I chose Mathematics and Electrical Engineering as my optional subjects as I am passionate about these two fields. Solve as many sums as possible. Try to learn shortcuts for finding answers. Chart out a realistic timetable for preparation and follow the same stringently. Never bring down your enthusiasm and commit your time sincerely throughout the preparation schedule.